A really nice wedding at the Brock House Restaurant in Jericho Beach Vancouver. Beautiful views! The tent seating was really nice even though the weather was a bit colder than expected but people really enjoyed themselves and were very eager to dance. I think this was one of those nights were people didn’t stop dancing till the very last minute of the night. 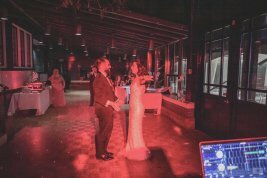 Iraqi Wedding DJ is what many thought I was only but through out the night I played the best Egyptian songs and people danced twice to some of the most amazing dabke music. They really loved all the music even when it wasn’t from their own country. 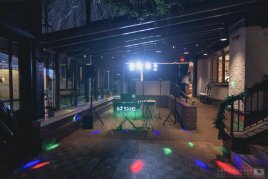 This night was the first time I used my Chauvet Gigbar2 DJ lights and I have to say I was very impressed and so were the people at the event. Great output for small to medium size events I would say (medium in this case) and the control I had was very nice even at just sound active with a remote and foot switch. I really loved these lights and will continue to bring bigger and better setups in the future. I felt that the restaurant wasn’t best equipped for my needs in terms of sound system and luckily I brought extra speakers for the tent area to give people in there a great listening experience. I think the setup was great and sounded very good even without a sub. Those yorkville speakers are very amazing. 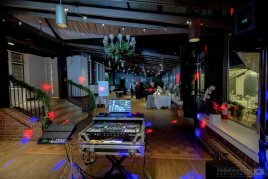 I always enjoy playing my mixes during events and during Mazen and Hattaw’s wedding reception I played my latest Iraqi mix and as well as an upcoming Egyptian mix which people reacted to very well. One of the night’s highlights was Mazen & Hattaw dancing to the Salmon dance song. Very cute how it was just the two of them enjoying themselves like no body was there. A great finish to this amazing wedding. You’re both such nice people and I wish you too all the best in the future and God bless you. 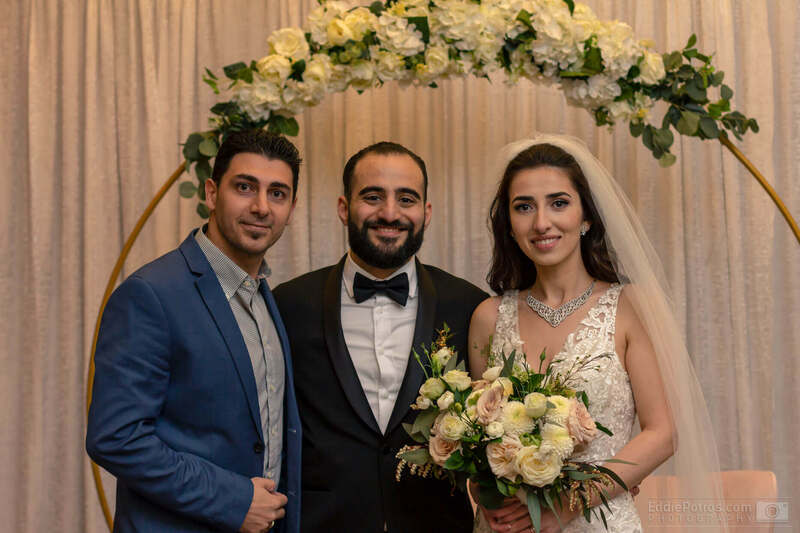 It was my pleasure to be your Iraqi/Lebanese wedding DJ. Congratulations on your wedding! Here are a few moments I captured which I hope you enjoy!